While his career started off as a rapid fire, the years that followed would be a slow burn, with even slower money. Mike parted ways with Columbia/Sony Records, making him an independent artist. His relationship with Outkast soured, making him a black sheep in the industry. While things did get rough to the point of him losing cars and homes, he continued to invest the money he was making into his Grind Time Official record label, releasing three albums under his I Pledge Allegiance To The G.R.I.N.D. 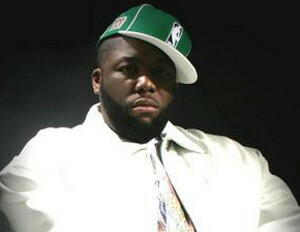 series (Get Rich Independently); and eventually striking it big with his critically acclaimed 2012 album R.A.P. (Rebellious African People) Music. Now that he is back touring and on his feet, Mike took his new cash-flow and finally invested in the barbershop he always wanted, Grafittis SWAG Shop, in his hometown of Atlanta, Georgia. Established in November 2011, the “Shave, Wash And Groomâ€ Shop is located minutes away from the airport and already boasts a clientele that includes Big Boi of Outkast, T.I. and GZA of WuTang Clan. The location has also become a popular setting for rap videos and television shows. With plans to open a second location in Tampa, Florida next year, Mike’s ultimate goal is to open 150 shops, making Graffiti’s a franchise. Black Enterprise caught up with the rapper/entrepreneur to find out why and how he got into the barber business. BlackEnterprise.com: Why do you say listening to your business manager 10 years ago was the worst thing you could’ve done? Because when he’s thinking about barbershops and hair cuttery, he’s thinking from a white male’s perspective, where they don’t have to get a haircut every one to two weeks. But I’m a black male and we HAVE to get our haircut every two weeks. So I should’ve trusted my gut instinct then and did it anyway. But I got caught up in what he said, then I got caught up in the rap world, caught up in falling off, caught up in trying to trying to get back on. During that time, every lump sum of money I got, I had to invest into putting out independent rap albums, which I’m not mad at because that’s how I made a living. But it’s also money wasted because I could’ve used that money to invest in this idea 10 years ago. So what changed or happened to make you want to take the risk now? Fast forward 8 years, when I was recording R.A.P. Music, when me and my wife were living in Brooklyn for a month, a barber shop listing came across on Craigslist for a price so sweet that I had the money in my pocket. I called the guy immediately, sight unseen, and bought it. My wife was pretty pissed off that I spent thousands of dollars without asking her, but she was happy that I finally followed my gut instinct. Especially after it started paying for itself and becoming a profitable investment. I paid under $10,000 for the shop, and I have invested about $20,000 in improvements so far. Explain the name and why you wanted to open a barber shop specifically? Graffiti is the art element of Hip Hop. When you sit in our barber chairs you are a work of art to us. “SWAGâ€ means Shave Wash and Groom. So for short, people just call it the SWAG Shop. My personal reasons are that I am an activist and advocate for African American culture and community as a whole and for black business. Based on what I rap about, a barbershop puts me closer to the community. I rap about what Ice Cube, Scarface and dead prez rap about, so for me there is no better earpiece to the community than a barbershop. The second thing is that black male unemployment hovers at 14%, it’s double the national average. Most barbers are black males in our community, it is the last refuge of employment in our community. Shop owners used to be guys that lived in our communities, but that changed over the last 20-25 years. So for me, it was important to be able to provide instant employment for black males. If a young man walks into my shop and he has a license or we have an apprenticeship available, he has a job immediately, after we do a background check. The other thing is that I saw a gaping hole in the the quality of barbershops in our community. A lot of them are not the honorable places they used to be. They have become hustle dens with all types of other things going on. I didn’t like taking my sons to those types of shops, so I wanted to create another type of environment that is focused on giving you Chik-Fil-A customer service, not McDonald’s customer service and having you leave with a great experience. In that ten years between having the idea and pulling it off, did you spend most of your time researching? What did you find lucrative about it? If you are a barber or small business owner, it’s lucrative and you don’t have to work for anyone else and it gives you the opportunity to set up your own business. I’m not a barber, so the key for me is figuring out other money making opportunities. My wife and business partner Shana set up our shop to where it’s not only under a barbershop license, she set it up under a retail license also. So later in the summer we are introducing a line of retail products including t-shirts to expand the brand, and a line of shampoos and greases to have for sale in our shop. Through my research, I’ve talked to people as high up as Mr. Joe Dudley of Dudley Hair Care Products to local barbers and from what I’ve gathered we, nor do I, enjoy going into Asian-owned stores to buy our products. Nor do I like having to go to different stores to buy things. If I get my haircut somewhere, I like to be able to buy my grease, brush and wave caps from that place too. What were some of the obstacles you encountered opening the shop? First of all, I would not advise anyone to buy a business over the internet, sight unseen. The shop had plenty of problems when I bought it. The shop had been there 18 years before I purchased it and it had been run into the ground. It was overwrought with drug dealers and very lackadaisical barbers who weren’t licensed. So I had to fire some barbers, basically get out in the community and also tell guys that they couldn’t hang out in front of my shop smoking and selling drugs. You don’t stand in front of the Subway or Chinese restaurant next door doing that, so you can’t do that here either. Another one of my obstacles was the guy I bought it from was very unscrupulous. I didn’t do my due diligence in finding out who really owned the equipment at the shop, so I ended up having to pay some extra money to get my own equipment. I didn’t do my due diligence, but I wanted to be in business so bad that I took a risk, but it payed off for me. But, I did do a lot of things right too. I came in at a very affordable rent scale. I’m paying under $1,500 a month for rent and bills included. I quickly made my self different from other shops by bringing in Chris Hobe in to paint murals to quickly upscale the shop. The barbering business is overwrought with absentee owners and bad environments, so the SWAG Shop is here to turn that around. I want an environment that is safe for children and mothers, and for it to be a place for men to come to escape and not have it feel like a chore to come. It’s growing. My barbers are averaging $125-150 a day. We have a promotional campaign where we give kids free Hot Wheels cars when they get their haircut; that keeps kids coming to the shop. It’s like happy meals for haircuts. My wife has a company called Eye Love where women can come in and get their eyebrows and lashes done instead of going to the mall. Every Wednesday, we have artists come by as guests. We have 1,500 square feet so we plan on hosting art and photo exhibits, starting with photographer Proph Bundy’s “Forgotten Atlantaâ€ collection. We provide an environment that is clean. I have been able to get barbers from other shops to come to my shop to cut for a couple of days, but after a while they just join the shop. The foot traffic is growing exponentially. We are anchored by a Subway and Wayfield grocery store, so that helps a lot. Where are you located and how can you be followed on social media?